In the first week of August, the MORTH sent out a circular saying it was considering a ban on the sale and stocking of all motorcycle helmets that do not adhere to the standards set by the Bureau of Indian Standards. The standard that it wants to adhere to is BIS 4151:2015. This is based on ECE R22.05 with a few additions made to bring it up to speed. I won’t get into too many details, but let’s just say that it is a pretty solid set of regulations to adhere to. Now, before we all go into a frenzy about this, it needs to be said that no legislation has been passed so far and the circular itself is only a notice that the ministry is considering such a move. The circular then goes on to invite feedback from the public about the proposed move and even provides an email address where we can get in touch with them at. On the face of it, it is a good move. As a country that largely ignores road safety and its importance, stringent helmet laws are a step in the right direction. If passed, the law will make the sale and stocking of non-ISI helmets a criminal offence that can bring about punishment that ranges from imprisonment to hefty fines. If implemented right, this will stem the flow of inferior helmets into the market. No more Rs 300 helmets on the roadsides. Of course, this means that every head will, ideally, have a safe helmet on it. But, there are issues to be addressed here. There has, so far, been no clarity on whether this will stop the sale of helmets that have been certified by European and American agencies (ECE, DOT, Sharp, etc.). It also does not say whether the use of such helmets becomes illegal either. There are too many loose ends here, ends that will have to be addressed before you and I can form an opinion. Now, if this pans out into a blanket ban that outlaws all imported helmets, then we have a problem. You see, your head is a very important part of your anatomy. Without a head, most people cannot function. That being the case, logic would state that you get the best you can afford when it comes to protecting it. For me and a lot of others like me, this means going to brands that have been around for and doing this for ages. Brands like Shoei, AGV and Arai are pioneers of the helmet world and have been spending millions of dollars on R&D. Their helmets are continuously quality checked and even the smallest of flaws are considered unacceptable. They have spent thousands of man-hours perfecting shapes and materials that work best in the event of a crash. And most of them consider the ECE regulations as a starting point rather than an end goal, continuously striving to stay way up above the required safety regulations. 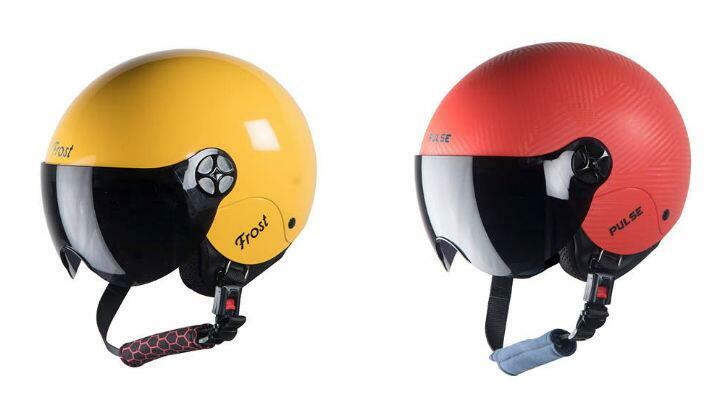 Having crashed in a variety of lids, I can personally tell you that the difference between a top of the line lid and a so-so lid is tremendous. It is a matter of walking away with a concussion or possibly not walking at all again. Now, if an Indian brand is able to convince me that their helmet will protect me as well as my Shoei, then I am open to using it. Heck, I’m all for it! But so far, nobody has been able to. The materials and the technology in use and the mere fact that they think there is one size that fits all heads raises some serious red lights for me. And aside from this, the times I have found structural and other flaws in helmets that have been sent to us for reviews is quite alarming. What a blanket ban would do is take away my right to choose the level of protection that I see fit for myself. It forces me to lower my standards in motorcycle safety to levels that I cannot accept. To me, and to a lot of other like me, this infringes on a very basic right to choose and forces us to lower our standards to a level we are not comfortable at. The point here is that while there is a need for better helmet laws, there is also a need to go about this smartly. In my opinion, this legislation is long overdue. But it also needs a lot of work before it can be implemented. The right provisions and exceptions need to be made. And that can be done only through a combined effort with those to whom it matter the most. So, instead of pointing fingers, let’s all send out emails to js-tpt@gov.in. Let’s make sure we do this right before it’s too late.